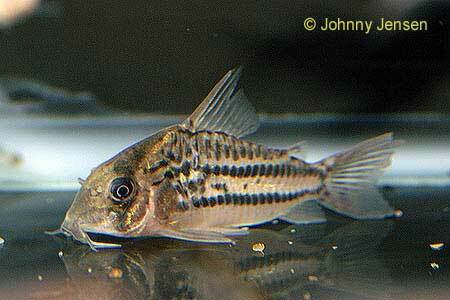 There are over 70 species of Corydoras. 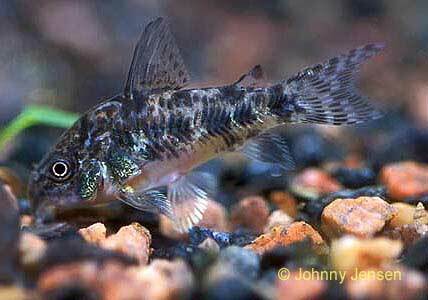 Corydoras are also called Cory Catfish or Corys. 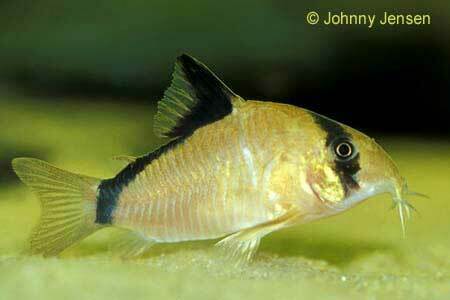 Corys originally came from the Amazon area. They are an excellent choice for beginners. 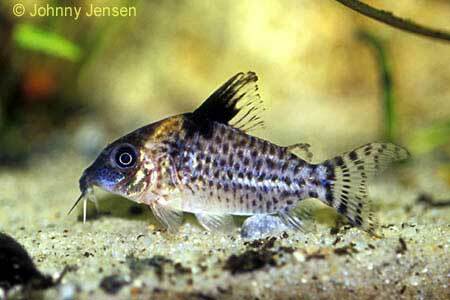 Corydoras are armored with bony plates as protection from predators. 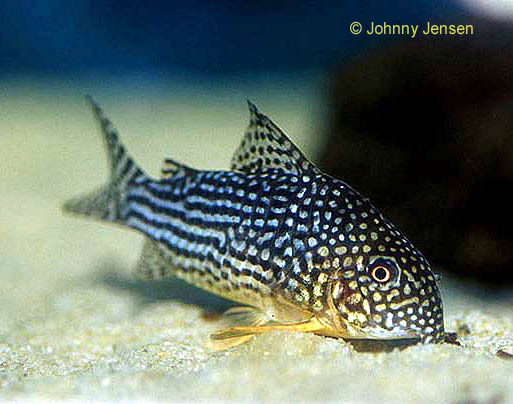 Corys spend most of their time on the substrate, so sand or smooth gravel should be used to help reduce injury as they search for food. They have a reputation for being garbage cleaners, because of their constant hunger and food searches in the gravel, but this simply isn't the case. 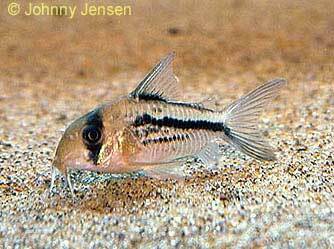 Some of the most popular Corys are the Bronze Cory (Corydoras aeneus), the Peppered Cory (Corydoras paleatus), and the Panda Cory (Corydoras panda). 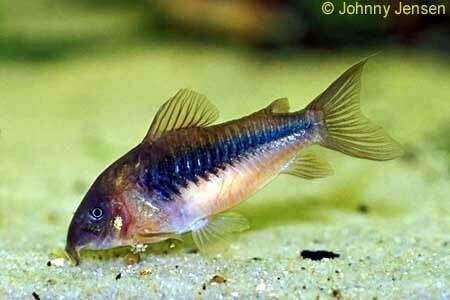 Don't expect to substitute your Corys for efforts at cleaning your gravel or your water. Corys need flake foods or sinking tablets. They take regular trips to the surface to obtain gulps of air too. 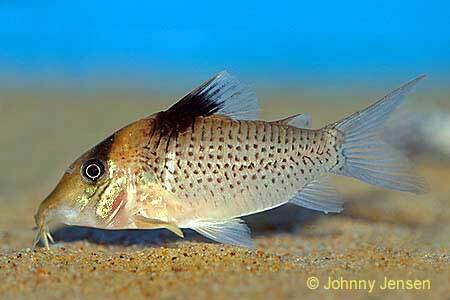 Corys are schooling fish and it is recommended to keep at least 6 of each species. Females tend to be broader than males. 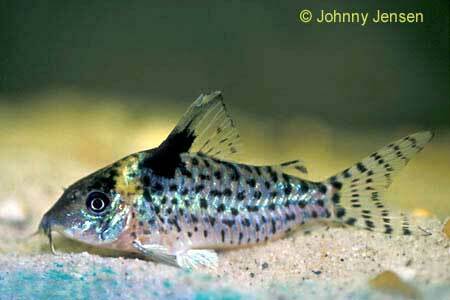 For spawning, it's a good idea to have extra males. 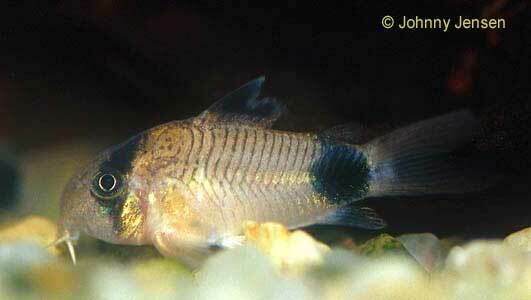 Lower temperatures and softer water may induce breeding. The fry will need sinking foods. 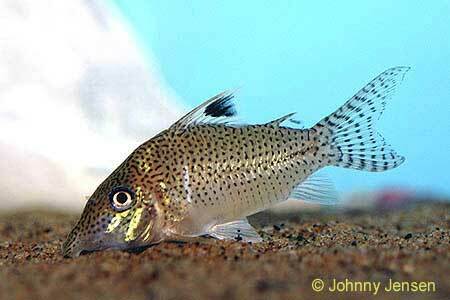 Comments by LittleHippyGirl: A meaty, sinking pellet works best for cories Its so sad that some people assume that they will live off excrement. 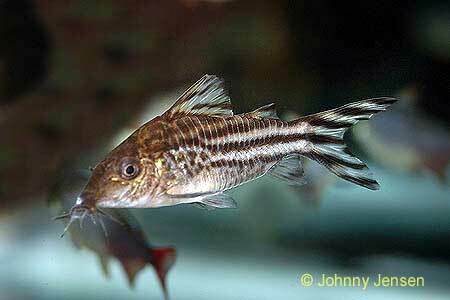 Cories need real food, just like any other fish! Shrimp pellets are great like geese mentioned. If you are willing to spend a little extra, Catfish wafers make a very healthy staple diet.